Turquoise Hill Resources Ltd (TRQ): Are Hedge Funds Right About This Stock? Turquoise Hill Resources Ltd (NYSE:TRQ) investors should pay attention to a decrease in hedge fund interest in recent months. TRQ was in 18 hedge funds’ portfolios at the end of the third quarter of 2016. 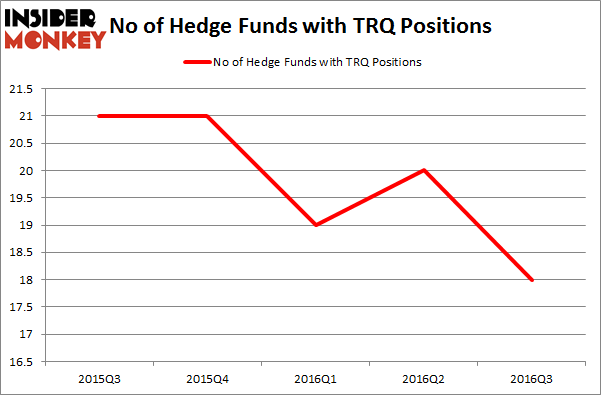 There were 20 hedge funds in our database with TRQ positions at the end of the previous quarter. 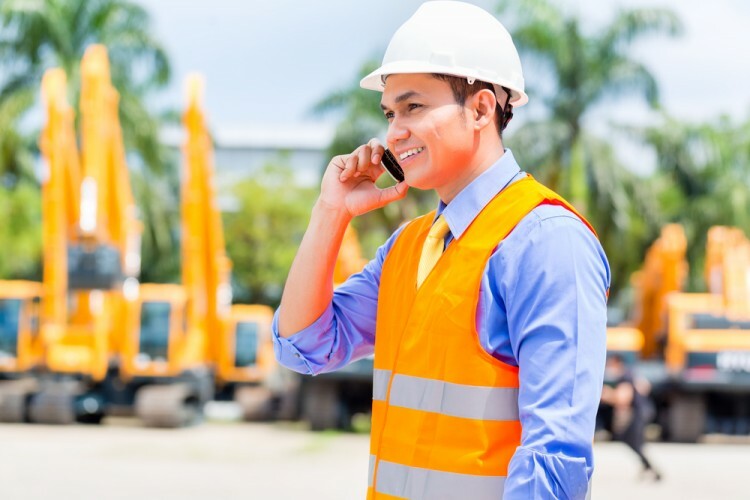 At the end of this article we will also compare TRQ to other stocks including EQT GP Holdings LP (NYSE:EQGP), Carlisle Companies, Inc. (NYSE:CSL), and Equity Lifestyle Properties, Inc. (NYSE:ELS) to get a better sense of its popularity. Keeping this in mind, we’re going to take a look at the new action regarding Turquoise Hill Resources Ltd (NYSE:TRQ). What have hedge funds been doing with Turquoise Hill Resources Ltd (NYSE:TRQ)? At the end of the third quarter, a total of 18 of the hedge funds tracked by Insider Monkey held long positions in this stock, a reduction of 10% from one quarter earlier. Below, you can check out the change in hedge fund sentiment towards TRQ over the last 5 quarters. With the smart money’s capital changing hands, there exists a select group of notable hedge fund managers who were upping their holdings meaningfully (or already accumulated large positions). According to publicly available hedge fund and institutional investor holdings data compiled by Insider Monkey, Matthew Halbower’s Pentwater Capital Management has the most valuable position in Turquoise Hill Resources Ltd (NYSE:TRQ), worth close to $282.2 million, accounting for 2.6% of its total 13F portfolio. The second largest stake is held by Anchor Bolt Capital, led by Robert Polak, holding a $53.2 million position; the fund has 1.6% of its 13F portfolio invested in the stock. Some other peers that are bullish encompass Peter Rathjens, Bruce Clarke and John Campbell’s Arrowstreet Capital, David Iben’s Kopernik Global Investors and Gifford Combs’s Dalton Investments. We should note that Kopernik Global Investors is among our list of the 100 best performing hedge funds which is based on the performance of their 13F long positions in non-microcap stocks.